A fundus camera is a specialised low powered microscope with an attached camera which lets doctors see inside the back of the eye. The doctors can also see other structures in the eye such as blood vessels and optic nerves. 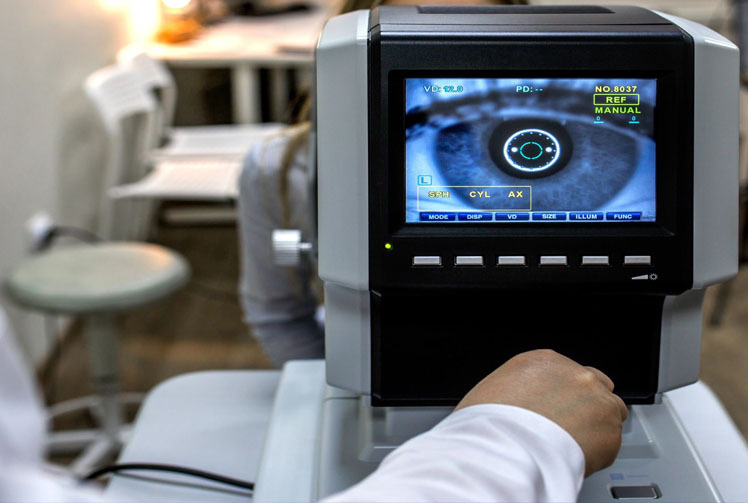 The application of fundus examination is of great importance for a range of healthcare practices, particularly at primary healthcare facilities. Apart from the need to identify any blindness risk factors in time for permanent damage prevention, it can also be used for the diagnosis and treatment of various clinical ophthalmologic conditions. Among the leading causes of death in South Africa, diabetes and hypertension fall among the top seven. The advancement and treatment efficiency for both of these conditions can be evaluated via proper fundus examination practices. Furthermore funduscopy can be used to identify opportunistic infections related to HIV as well as detect head injuries or brain tumors. A portable, low cost, handheld, patient guided fundus camera used to screen patients for retinopathy. This technology requires less skilled staff for operation and makes for easier examination of patients that are generally non-cooperative such as infants and animals. Traditional non-mydriatic fundus cameras makes useof two illumination systems. One system is in thenear-IR- spectrum which is not visible to the humaneye and is used to enable the photographer to guidethe camera to the target location. The second is avisible spectrum in order to illuminate the fundus forimage capturing. This is usually a flash. To get agood image is time consuming as the alignment ofthe illuminating beam and optical access is critical fora good quality image.Our technology enables the patient to automaticallyfocus the eye correctly for the camera to image thepart of the eye that is of interest. This eliminates theneed for IR illumination and in theory the examiner.A nurse can easily perform this test. Elimination ofthe IR allows for great cut in production cost asthere is less need for advanced optical lenses. Instead of using a dual spectrum illumination functionality which is thecurrent convention for fundus cameras, the proposed device uses atarget image projected onto the optic axis of the camera serving thepurpose of directing the patient’s gaze as well as forcing the patientto focus on the correct plane, which automatically focusses thecamera on the fundus.